If you are only checking the state of your rental unit when your current tenants move out, you risk letting a problem go unchecked until it could cause thousands of dollars to fix. Responsible landlords and property owners should strive to check the condition of their rentals quarterly. Not only can this limit property damage or misuse of your rental property, it can help you plan for upkeep and maintenance. 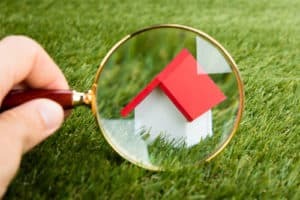 Learn why you should switch to quarterly inspections and what to look for during a property check. Why Do a Quarterly Rental Inspection? Often, property damage occurs cumulatively, for instance when a renter’s pet scratches at the door or when a tenant starts to hoard possessions. By the time you get around to a move-out inspection, the damage is already done. The carpet is stained, the rental is filthy or the door is scratched beyond repair. The question becomes, how much will your earnings suffer as a result? What’s more, how long will your rental unit sit vacant while repairs are made? Renters often treat your property better when they know you’ll be checking in regularly. Why would renters sell drugs or throw big benders when they know you’re keeping an eye on the property? It’s a good idea to develop a rental inspection checklist and share this with your tenants. This brings your renters on board with keeping your property safe while setting them up for success. Your tenants have the right to enjoy their apartment without unauthorized visits from you. So you are in compliance with local laws, give your tenants a 24-plus hour notice you’ll be doing inspections and keeping your visits brief. Share the rental inspection checklist ahead of time, so they know where you’ll be. While your first inspection may take longer, it should not take more than 20-30 minutes to inspect your rental once you’re familiar with the process. Don’t forget to examine the outside of the unit — gutters, roofs, yards, basements, and porches or decks need your seasonal attention, too. Along with checking for damage to the apartment, these visits are a great opportunity to perform light maintenance your unit requires. You may wish to replace air filters in the HVAC system, check smoke detectors, or install or remove storm windows during these visits. Lengthier projects can be completed at a follow-up date, or you may wish to hire someone to perform the needed services. If you find a problem, take photos that illustrate the problem and write notes while everything is fresh in your mind. When you’re calm, discuss what happened and how to proceed. You may wish to give the renter a chance to fix the problem, or you may prefer to hire someone and bill him or her. Get more advice on preparing for a rental inspection — including tips on what tools to bring with you for a quarterly inspection — from American Apartment Owners Association. Disclaimer: The information provided herein is for advisory purposes only and AAOA takes no responsibility for its accuracy. AAOA recommends you consult with an attorney familiar with current federal, state and local laws.